Hi there, Connie Nichol here today with a scrapbook layout featuring two of the stamps from the Let it Snow Snowman stamp set from Quietfire Design. 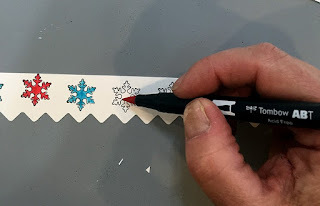 I stamped the largest snowflake in the set repeatedly on a strip of cardsotck and coloured them in with markers to create a customized colour coordinated border. I added a bit of Stickles glitter glue at the end to give the snowflakes a little sparkle. 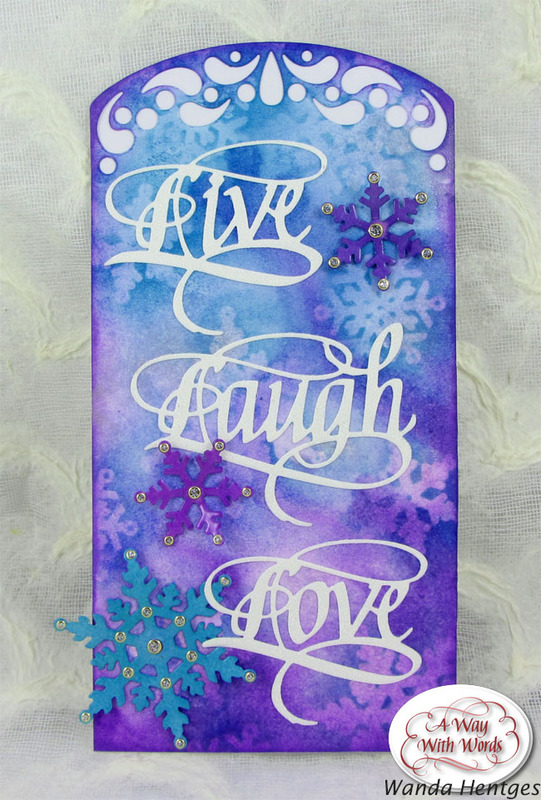 I created the page title by stamping 'let it snow' on a circular piece of watercolour paper, colouring in the letters with a blue Tombow watercolour marker and then brushing a wet paintbrush over the letters to spread the colour a bit. After the paper dried, I coloured the letters in again to make them a bit darker and touched up the snowflakes with some Stickles. Easy and done! Add a bit of machine stitching and it really looks fancy. 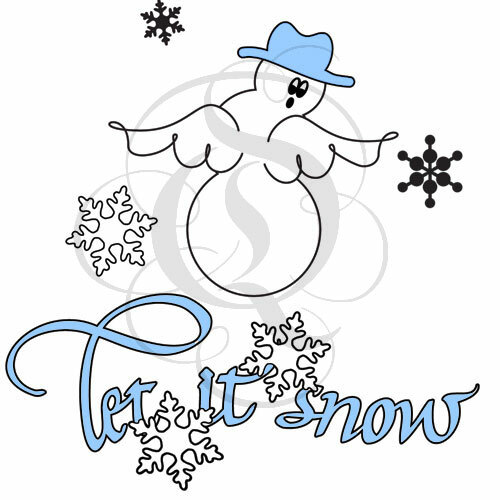 Here's what the Let it Snow Snowman set looks like - it is a very versatile set of five stamps for all sorts of winter themed projects. 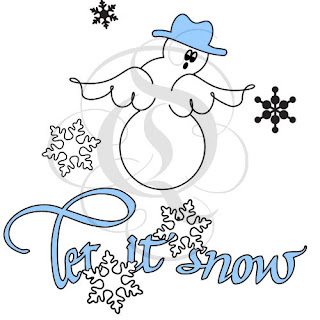 Although this layout wasn't about snowmen at all, the title and the snowflakes were perfect accents for a skiiing layout. I love how you can customize the look with different inks and colouring agents. Perfect for a frugal scrapbooker. Supplies used for layout: Quietfire Design stamps, Elizabeth Crafts watercolour paper, Tombow markers, Simple Stories patterned paper and stickers, Brother sewing machine, May Arts ribbon. 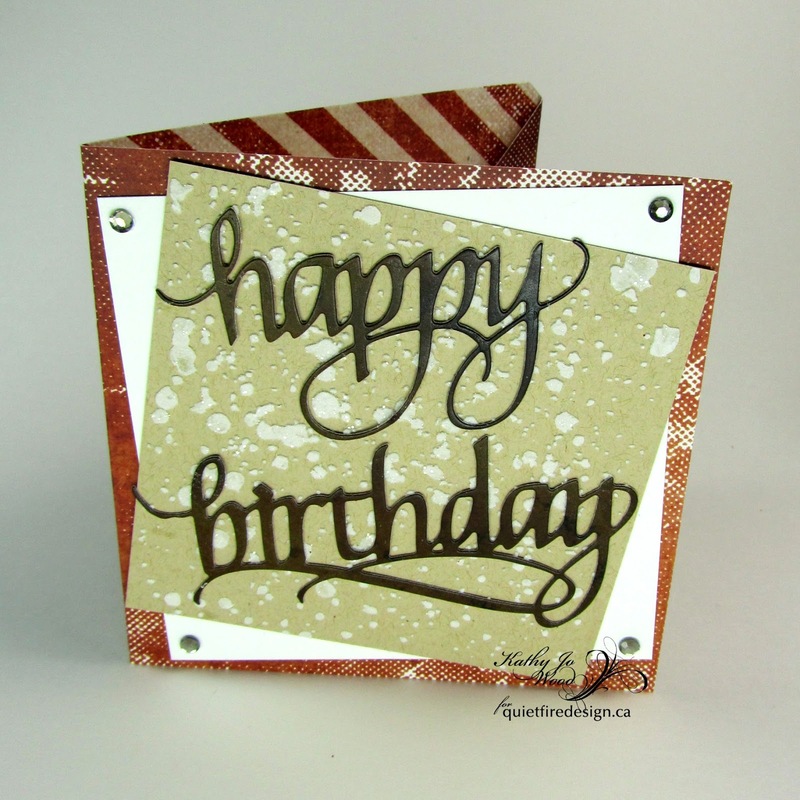 Happy Birthday- CHA 2016 Sneak Peek of new die! Hello Crafty Friends! Kathy Jo here and I am very excited to share another sneak peek of the soon to be released Elizabeth Craft Designs die designed by the ever-so-talented Suzanne Cannon. 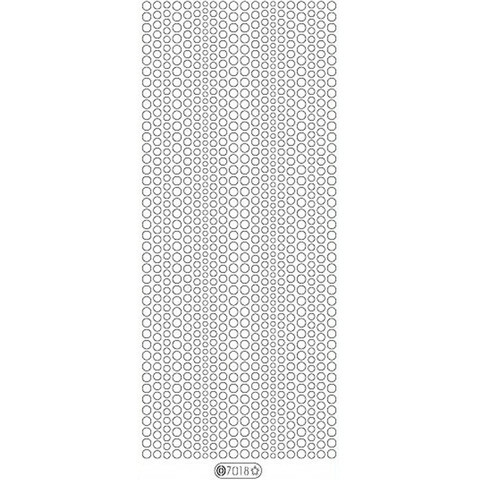 Cut double sided patterned paper to 4 x 12". Score at 4" and 8". 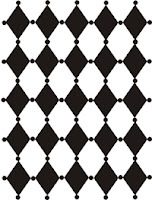 Cut last square at a diagonal and fold in as shown. Apply adhesive tape to bottom edge only. Cut white card stock to 3.5" x 3.5" and adhere to left side. 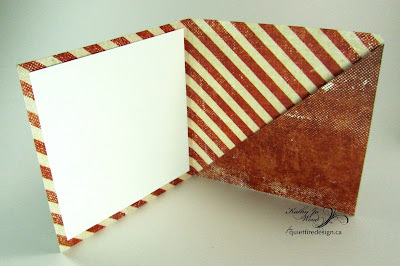 Cut white card stock and Kraft card stock. 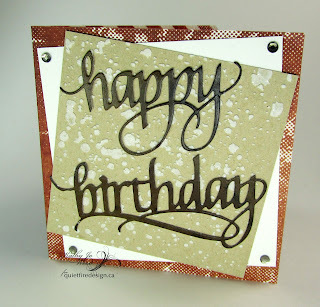 Using Tim Holtz stencil (Speckles), apply Ranger Ink texture paste on the Kraft card stock. Remove stencil and apply Distress Glitter in Clear Rock Candy. Air dry. Assemble card front and add four gems. Thanks for stopping by! I do hope you enjoyed the sneak peek and the card! Hello!! I hope you had a wonderful holiday!!! 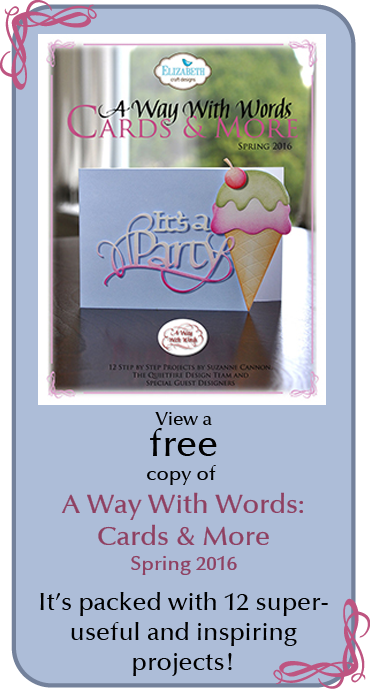 Today I'm sharing a simple card using one of the new, to-be-released at CHA, A Way With Words dies, Congrats. 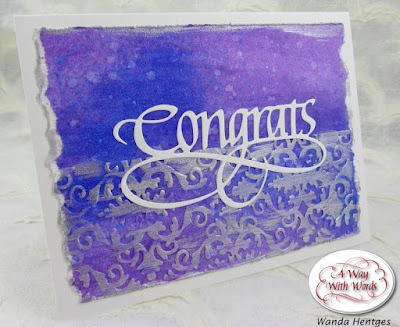 Starting with a piece of Elizabeth Craft Designs Soft Finish Cardstock, I added Distress Stain Wilted Violet over the whole piece and while that was still wet sprayed a couple of spots with Distress Spray Stain Salty Ocean. I took a damp towel and blotted up excess ink which also gives the color a bit of a mottled look. I flicked some water over the panel, blotted it with a dry paper towel and then dried it. 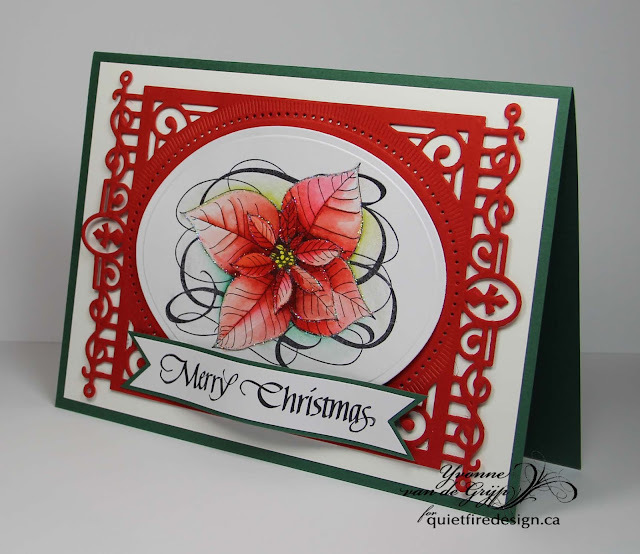 The bottom half of the paper was embossed using the Elizabeth Craft Designs Damask Embossing Folder. 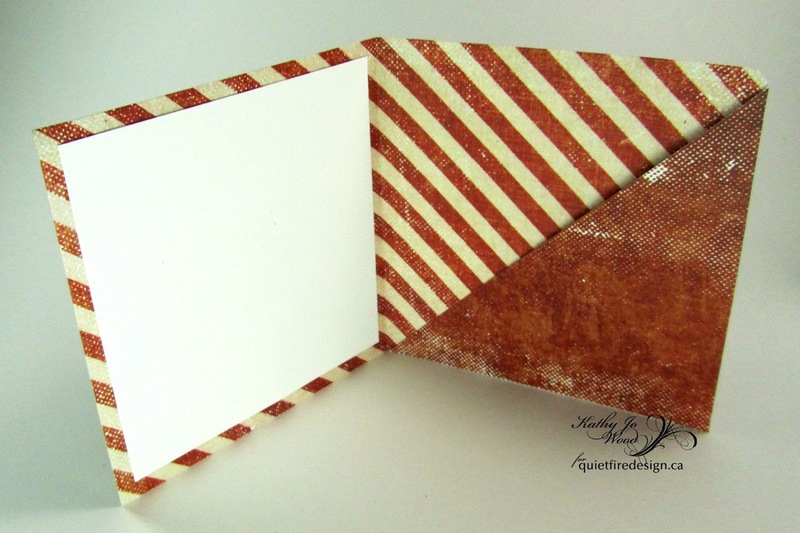 I tore the left and right edges of the paper and used a distressing tool along the top and bottom edges. To highlight the embossed areas more I used Distress Stain Brushed Pewter getting the dabber top wet with stain and then lightly brushing it back and forth across the embossing. Pewter was also brushed along the edges of the not embossed area. 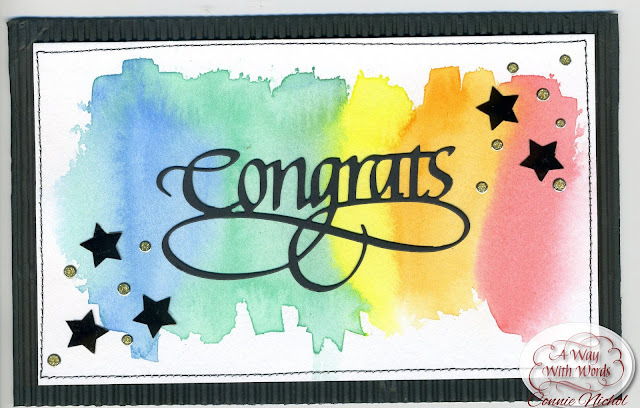 Congrats was cut from Soft Finish Cardstock backed with Double Sided Adhesive and attached to the panel so it looks like it's sitting atop the embossed area. The panel was attached to a folded white card. a safe, happy and creative 2016! 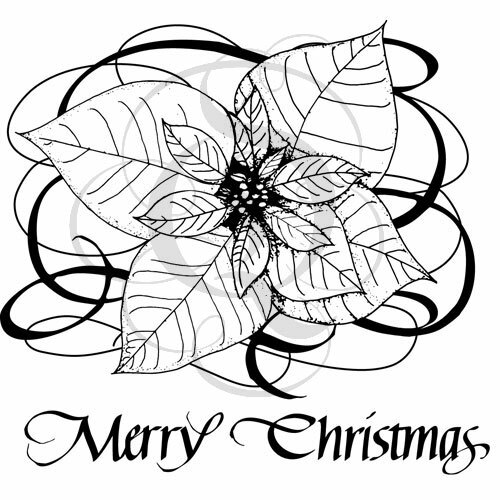 We at Quietfire would like to wish all of you a very Merry and Happy Christmas where ever you may be in the world. 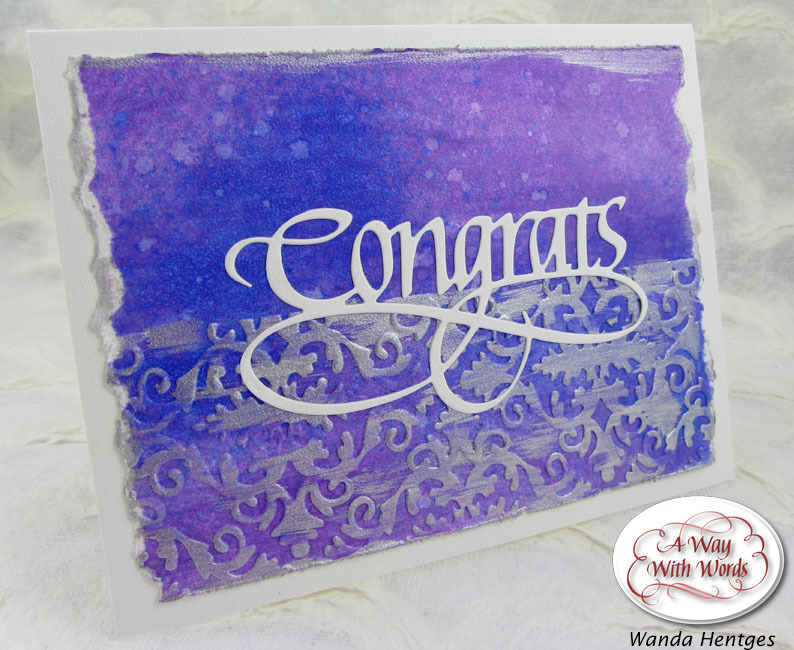 And thank you for always stopping over to see what all of us create with all the beautiful stamps and dies that Suzanne creates. 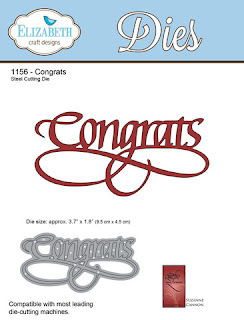 Since it's almost the start of the New Year of 2016 i thought it would be a wonderful day to share a few of the new dies that were just released to send out a few thank you's to friends and family. I thought it would be fun to make a easel card for this one with some little places to add messages or maybe even a gift card to someone that you need to send a thanks too. For my card i created a simple easel for the base in white and then layered papers from Ruby Rocket and Bo Bunny to make a place to put my message. The die i cut out of both gold and white and glued them together and then attached it to the front. It would also be fun to make more in different colors and then put other messages on the fronts to give as a gift set too. 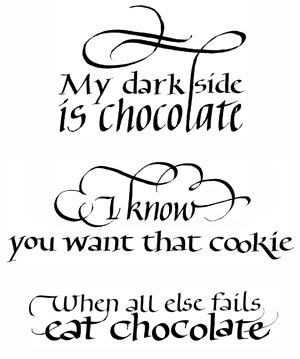 There's always something fun you can make with all these gorgeous sentiments. 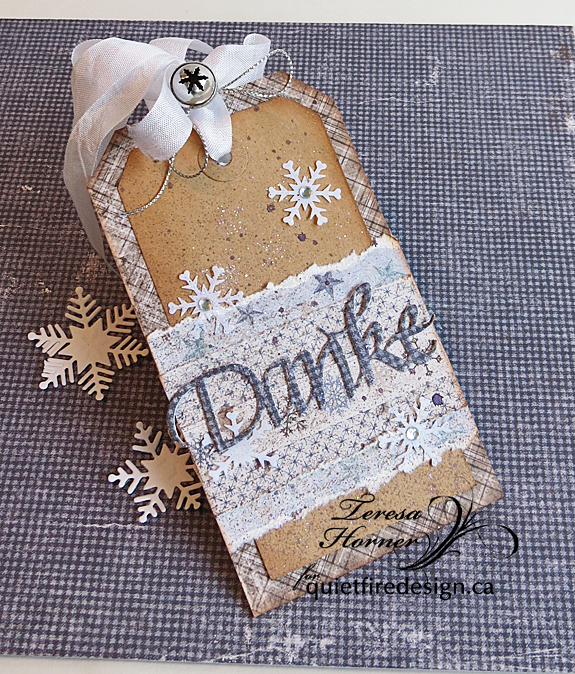 And my next die is "Danke" which is also from the new die sets. 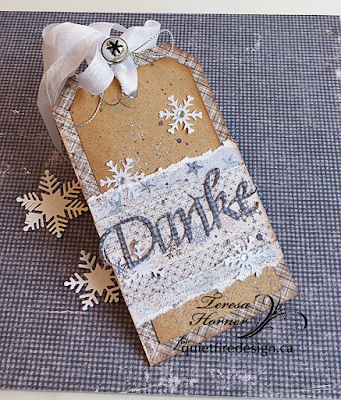 I just made a simple layered tag with pretty wintery papers and die cut the sentiment 2x to make it thicker and stand out more. It has lots of glitter spray and distress spray just to add a little more dimension. Good Morning. 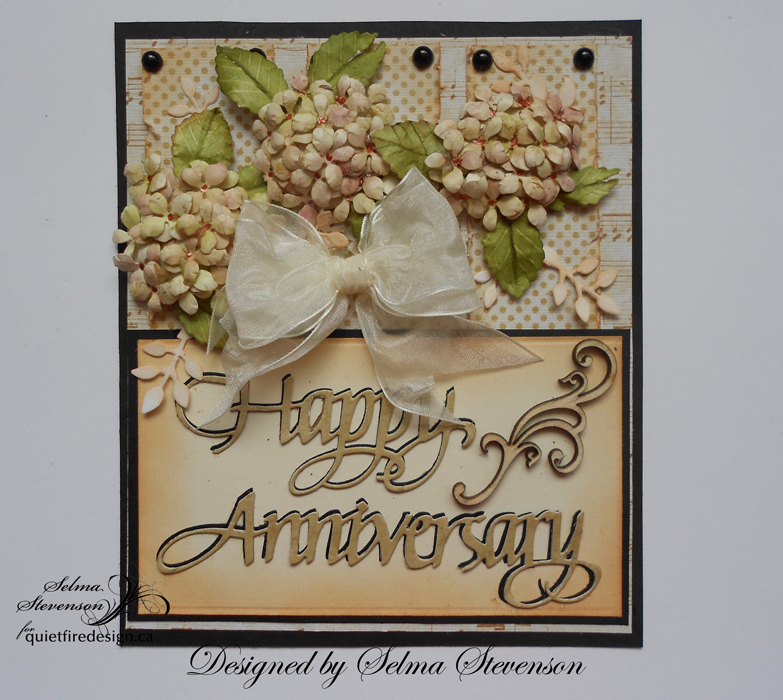 This is Selma Stevenson today with a card designed using Suzanne's A Way With Words Happy Anniversary dies. You can always create something beautiful with any of the gorgeous A Way With Words dies. This is a 6x7" card. A piece of music design paper was attached to black card stock. On top, three 1 1/2 " strips of polka dot design paper were glued down vertically, and black, flat backed beads added to the corners. 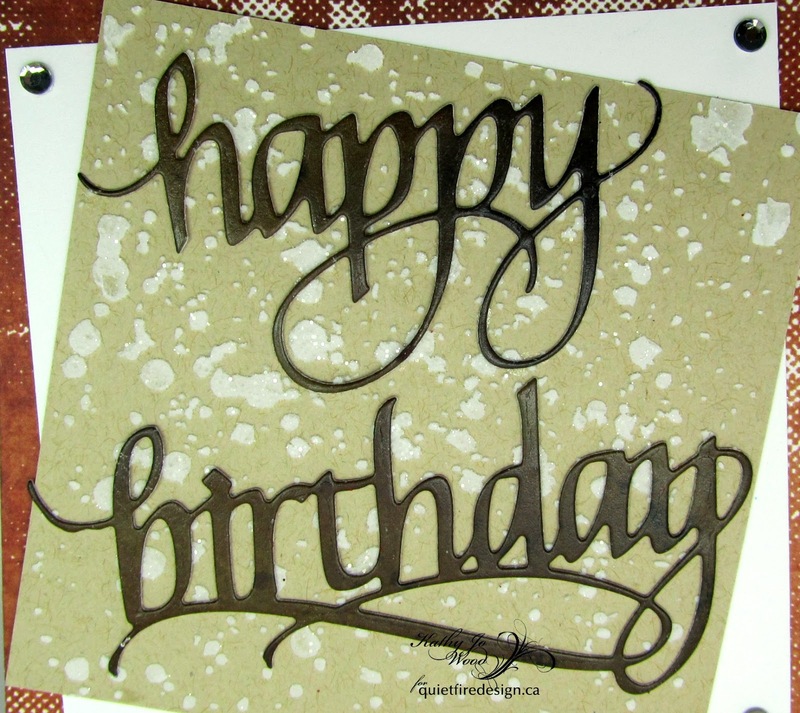 The Happy Anniversary dies were die cut twice -- once using Kraft card stock and once using black card stock. The two were glued together off-setting the colors for a shadow effect. 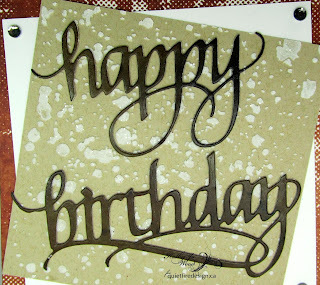 A piece of vanilla card stock, that was sponged with Tea Dye Distress Ink, was attached to a piece of black card stock. The Happy Anniversary, and a laser cut wood design, were glued to it. This panel was glued to the bottom of the card. On the top of the card, three Susan's Garden Hydrangea flowers were attached. To complete the card, a beige bow was added. Tomorrow is Christmas. 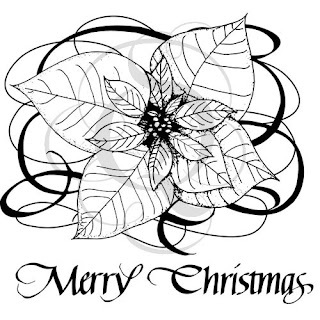 I want to wish you all a Merry Christmas and a Happy, Healthy New Year. 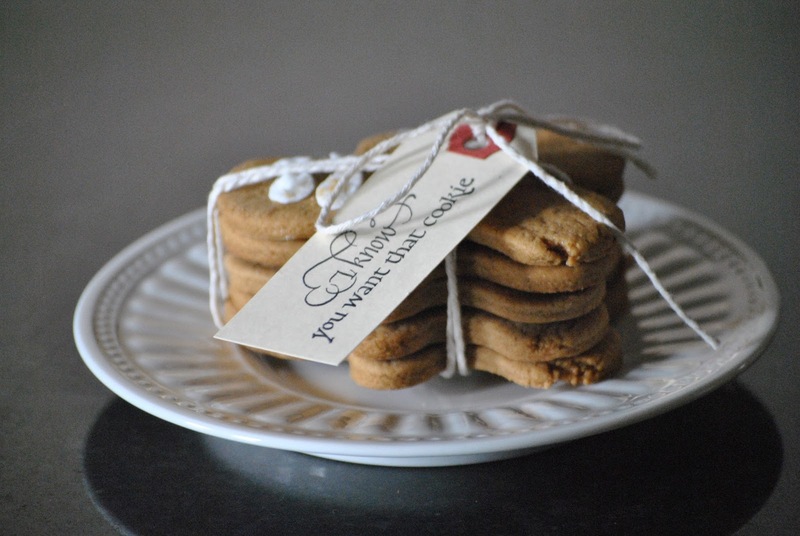 Hi, Christy here, and here is my second Guest blog post here on Quietfire!! A big thank you to the team for asking me share with you. With the week before Christmas, it’s no surprise to all the crafty gals out there that a great collection of stamps on hand is the key to easy, quick, customizable gift giving. 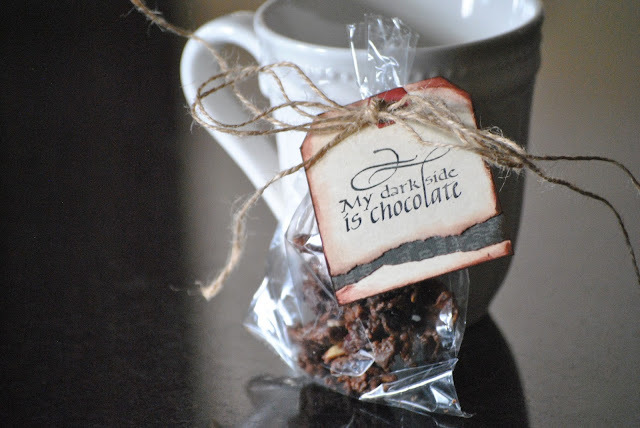 And I made these quick and easy hostess gifts with scraps and mailing tags. 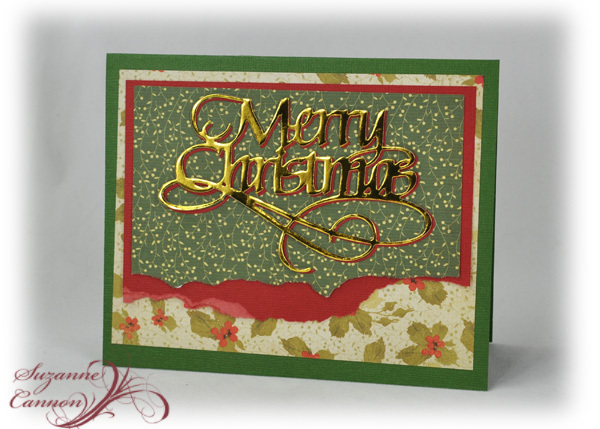 Merry Christmas, and Happy Stamping!! Hello to you on this wonderful Tuesday!!! 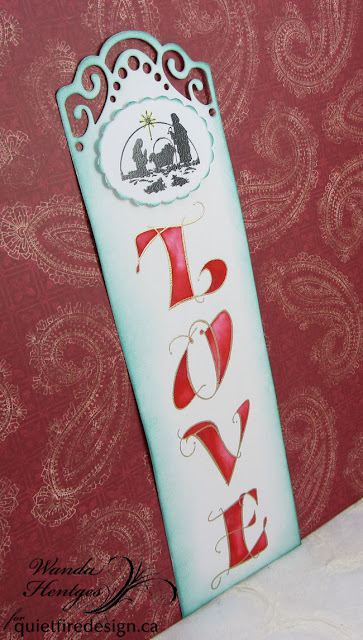 I actually began this project with Valentine's Day on my mind. I went looking through my Quietfire stamps and decided to use the LOVE - Fill 'er Up set of stamp and a love quote. 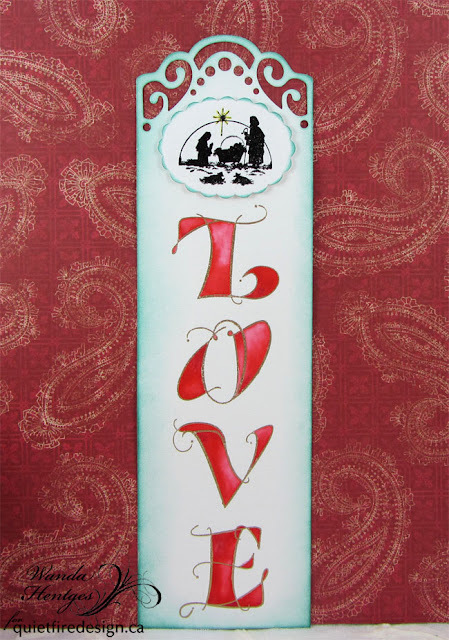 As I began working, specifically lining the letters up on an acrylic block, I was also thinking about Christmas and anything I had left to do and suddenly I was making a Christmas project with the LOVE letters because, well, Christmas is all about Love!!!! 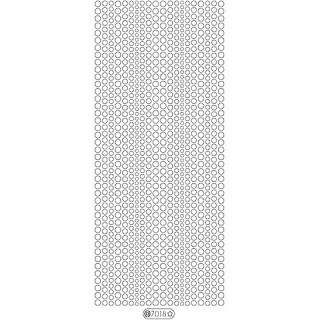 1 - Cut 100# Soft Finish Cardstock to 3 1/4" x 11". 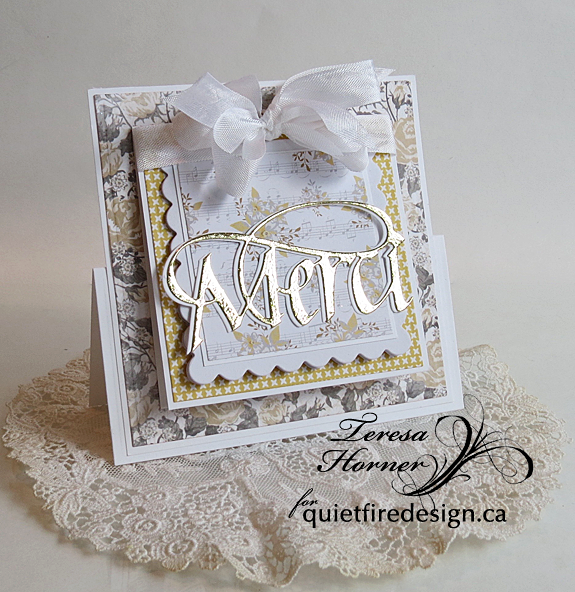 Die cut top edge and then overlay (Elizabeth Craft Designs Tags & More 1 - Lace). Ink edges with Distress Ink Evergreen Bough. Glitter just the very edges with Wink of Stella (GL - Clear) pen. 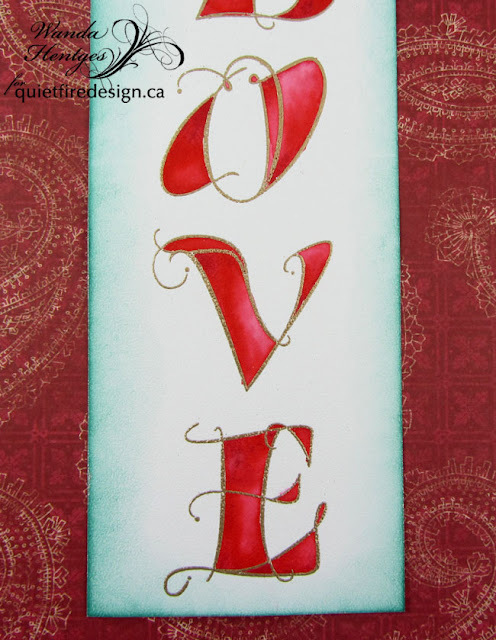 2 - Line up letters (LOVE - Fill 'er Up) on acrylic block, stamp with embossing ink, emboss with gold powder, add color using a waterbrush and Distress Ink Festive Berries, let dry. 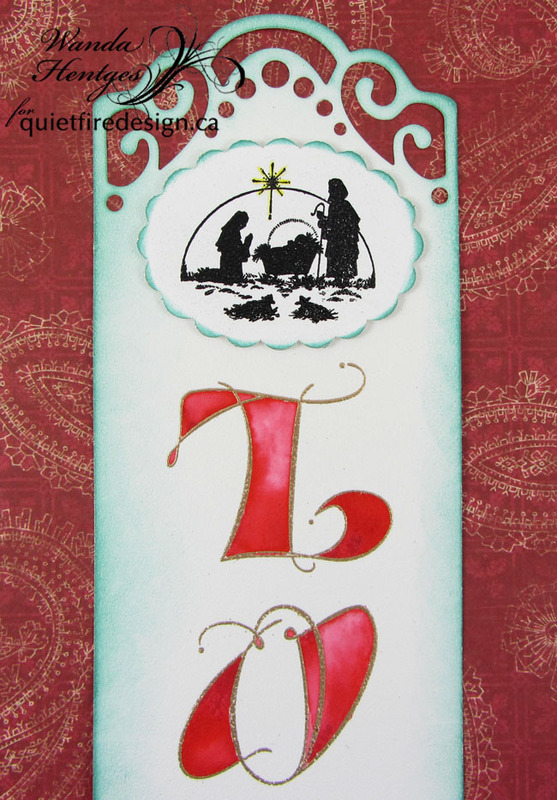 3 - Stamp nativity (very old PSX image) on smooth white cardstock with embossing ink, emboss with black powder, cut with scalloped, oval punch, ink edges with Evergreen Bough, color star with Distress Marker Squeezed Lemonade and then Wink of Stella Pen. Attach oval to word strip with foam mounting tape. 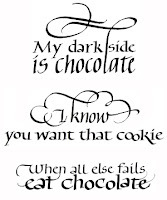 Yogi here today with an easy and simple card. Side folded my blue textured card (5"w x 7"h). I had a bunch of Color Burst decorated papers sprinkled with Schminke gold powder and Coarse Kosher Salt technique on 90# watercolor paper, so die cut a bunch of letters to create my text block ("Alphabet Caps"). I adhered my text block as described above to some white cardstock, trimmed down. Sponged some Distress "Fossilized Amber" around the edges and under my "Love You" words. 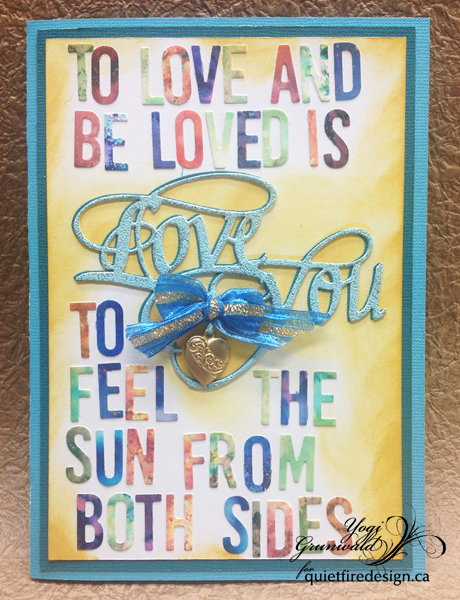 Die cut the word "Love" and the word "You" from some scrapbook cardstock and intertwined the 2 words together. 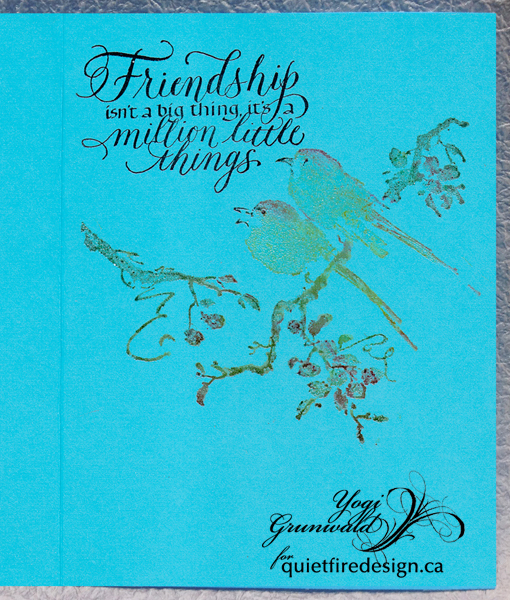 I didn't like the scrapbook paper with my text block... so applied Versamark all over and embossed with Hot Stuff "Turquoise Shimmer" embossing powder. Cut another of the 2 words from a teal cardstock and adhered the 2 together as a shadow layer, then onto my card front piece. Adhered the white layer to a teal textured cardstock and used a layering ruler to cut a 1/8" border all around. Adhered to my blue card. Added a blue Sari bow and attached a gold heart charm with some light blue twine using a hot glue tool. On the inside: Stamped the quote using Versafine Black Onyx and clear embossed. 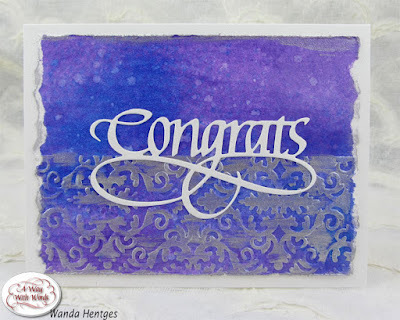 Stamped the bird image (Penny Black "The Sweetest Sound") using Distress mini pads to color, misted with water and stamped, then clear embossed. Hi, Connie Nichol here today with a card featuring the new 'Congrats' die from Elizabeth Craft Designs and designed by Suzanne Cannon of Quietfire Design. These word dies cut so beautifully and you can put them on a huge variety of backgrounds to get all sorts of different looking cards. 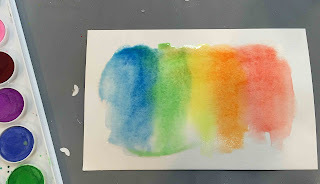 For this one, I used a rectangle of watercolour paper from Elizabeth Crafts designs, moistened it with a bit of water and then brushed it with watercolours. Just make sure your paper is a little wet so the colour can spread. 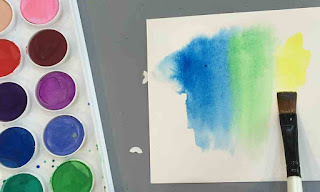 You can either just brush it with water with a paint brush or use a little spritzer to mist water on the paper. After the paper dried, I added a few stars punched from a Shimmer Sheet and a handful of glitter dot stickers. Simple, but pretty and artistic looking without taking a lot of time or artistic skill. Try different colours for a different look. Supplies: Elizabeth Crafts Design Way with Words die, watercolour paper, Shimmer Sheetz, and glitter dots, Close to my Heart watercolour paints, Brother sewing machine and Fancy Pants corrugated paper. Shimmer Sheetz come in a variety of colours too! 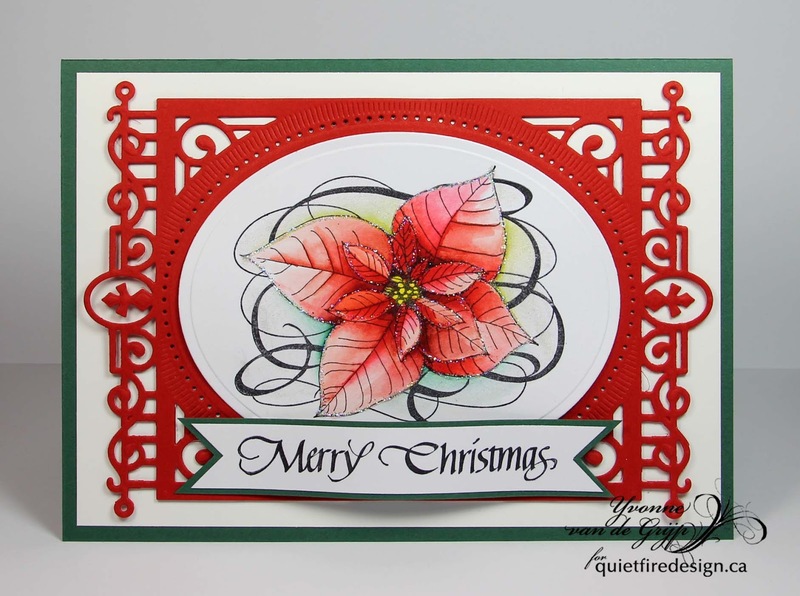 Yvonne here with a Christmas card using a brandnew Quietfire Design stampset "Merry Christmas Poinsettia". It's a set of 2 stamps: the text as well as the gorgeous image of the poinsettia! the outlines of the flower are accented using Stickles/ glitter glue. I hope to see you all again in 2016! Hello Crafty Friends! 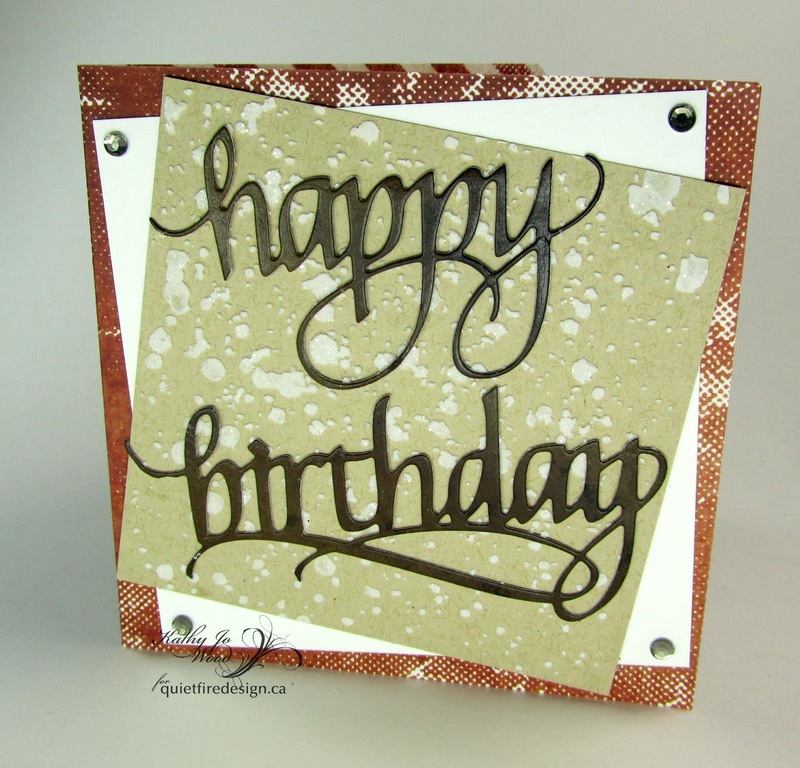 Kathy Jo here sharing a card using one of the new beautiful Quietfire Design dies. 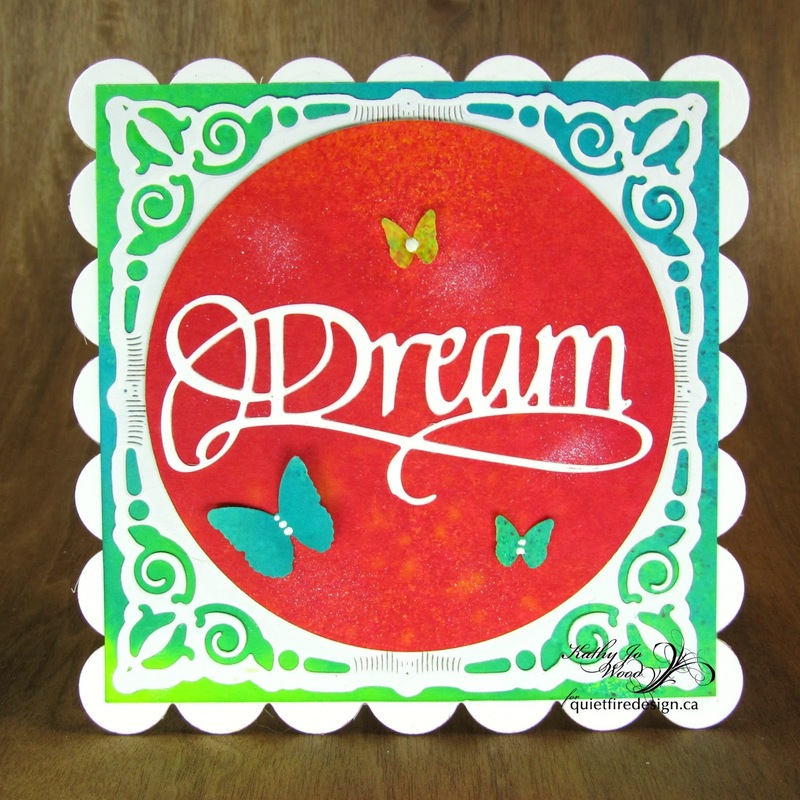 Oh- I am so loving the new dies and the Dream die is one of my favorites! 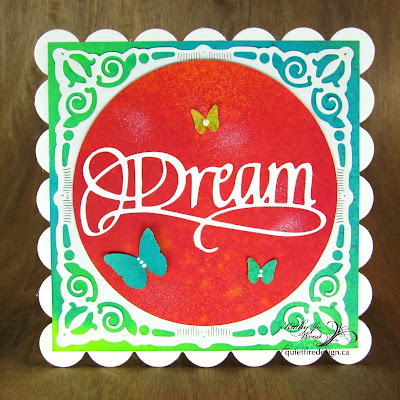 When I first started playing with the Dream die, I had a difficult time deciding what my first Dream project should be: a scrapbook page using one of my furry family members sleeping, a graduation card, an inspirational mixed media canvas or a sweet butterfly tag. 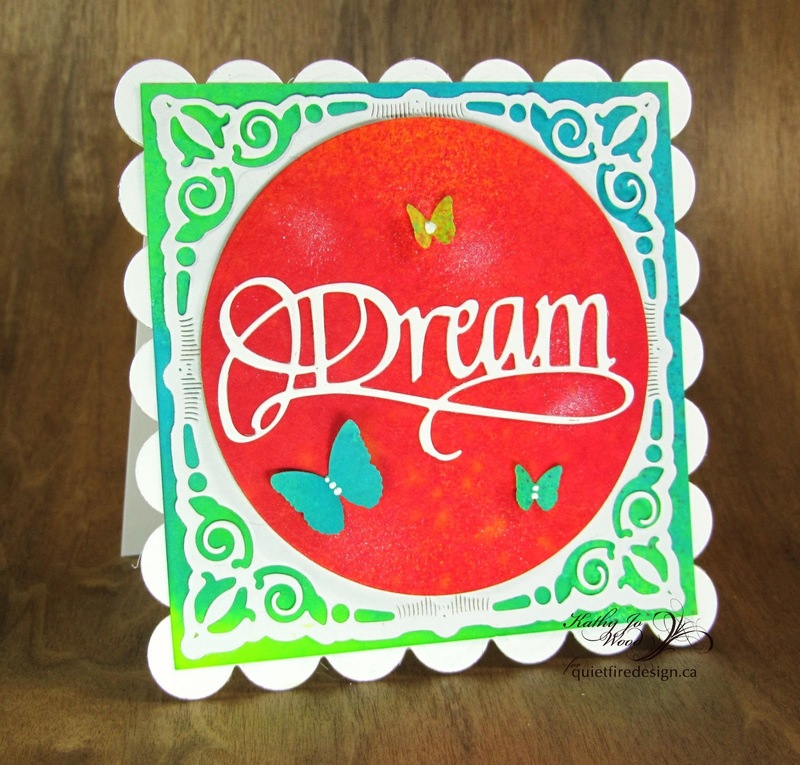 I ended up using some bright and happy Dylusions sprayed papers papers to make a cheerful butterfly Dream card. The white Dream die cut pops against the bright background. I used scrap pieces of sprayed card stock to punch some butterflies. 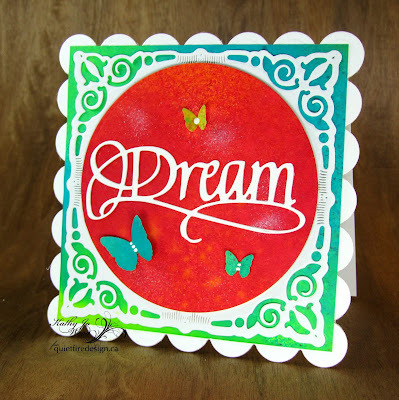 Behind the Dream die cut I spritzed a Picket Fence Distress Marker. I do hope that you enjoyed the Dream card. It is such a pretty die! 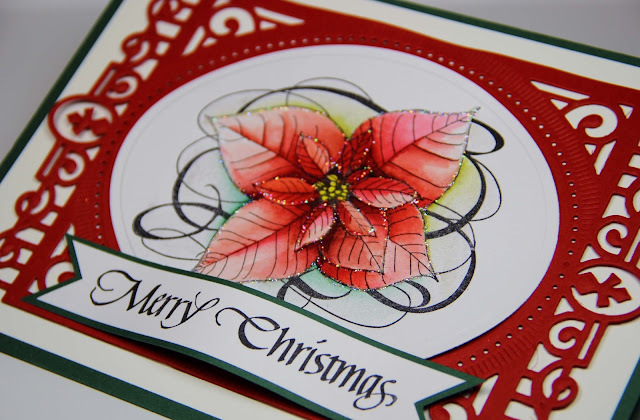 Don't forget to check out the the new dies and projects from Monday's CHA Sneak Peek video! Happy Wednesday!! 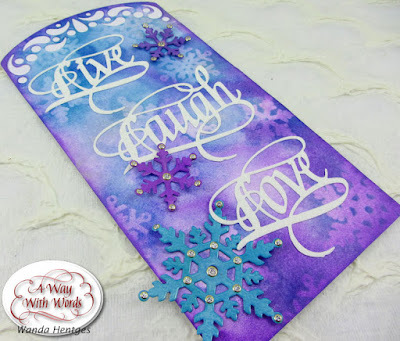 Today I'm sharing a tag that uses 3 of the brand new A Way With Words dies - Live (1164), Laugh (1163), and Love (1165). I put double sided adhesive onto Elizabeth Craft Design's 85# soft finish cardstock and cut my words with the adhesive on the front of the words. I then glittered each word with warm diamond silk microfine glitter and set them aside. My tag is created from 100# soft finish cardstock using the Elizabeth Craft Designs die set, Tags & More 9 - Sparkle (1077). After the tag was cut I colored it using Distress Spray Stains. I sprayed shaded lilac, wilted violet, and broken china on my craft sheet not overlapping too much. I shook and opened Distress Spray Stain brushed pewter and, using the stem of the spray part, shook some drops of the pewter over the sprayed colors. 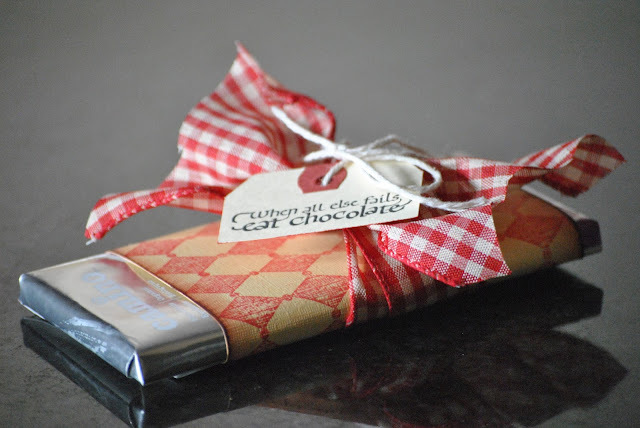 Next I sprayed the tag with water and then pressed and smooshed it into the ink on the craft sheet. I lifted the tag and dried it. It could be dipped again, before or after drying, but I liked how it came out the first time. I die cut one each of the Elizabeth Craft Designs die set Snowflakes (757) from a matte coated heavy white card and used these die cuts as masks. I laid a snowflake on my tag and inked over it with Distress Ink broken china. I did this about 3 times with each size of snowflake. I kept the largest and smallest snowflake to layer onto the tag. The large snowflake was left with the just the broken china ink. The small snowflake was inked over with wilted violet creating a deep purple. I cut one more small snowflake from the same card as the others and inked it with wilted violet. Each snowflake was then inked with embossing ink and embossed with clear embossing powder. Onto all 3 of these snowflakes I added Elizabeth Craft Designs glitter dots. The snowflakes are glued onto the tag just in the center. The words are glued down completely. Another tag was cut from white cardstock, cutting just the tag shape, no extra cut outs, and glued to the back allowing the white to show through the front of the tag.